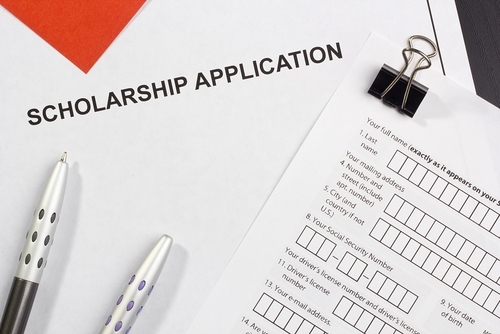 Should I Feel Guilty About My Kids’ Financial Aid? Whatever my kids do, be it school or extracurricular activities, they are either on financial aid, a merit scholarship, or work/study (i.e. they study while I work for the organizations in question). We simply wouldn’t be able to afford Jewish Day School or after school classes any other way. The rule of thumb, as I understand it, is that you’re not supposed to tell kids that they’re on financial aid. You don’t want them to feel different. I want them to feel different. I want them to understand and appreciate that the privileges they have are thanks to some very generous people contributing more than their own fair share, so that my kids can enjoy the same advantages as theirs. And I want them to know that responsibilities come with being the beneficiary of such generosity. Some parents were offended when, at the orientation for my son’s dancing school, the director informed, “We expect a higher level of behavior and commitment from our scholarship students.” I wasn’t offended. I thought that’s the way it should be. Financial aid and scholarships aren’t a God-given or civil right. They’re something to be earned. And they aren’t something to be taken for granted, either. Honestly, I’m so appreciative of my daughter being able to attend her Jewish Day School, I’d have her stopping by the Admissions Office every morning to say thank you. Except I suspect that would become really annoying after a while. I gather from these women that I am supposed to feel embarrassed about needing help to pay my children’s school tuition. I don’t feel embarrassed (to whit, my writing this post and my regularly shouting my gratitude from the rooftops). What I do feel, however, is guilty. Because while I very much appreciate my daughter getting the chance to go to Jewish Day School (have I made that point clear yet? Because I could reiterate it a few dozen more times in case I’m being obscure), I realize that there are many, many more families out there–Jewish and otherwise–who need financial help much more than we do. Should the American Jewish community be prioritizing my first grader receiving daily classes in Hebrew and Judaic Studies (plus holiday celebrations and a chance to sing in the temple choir) over other, much more pressing, worldwide and national problems? Am I selfishly using up scarce resources that would be better off spent elsewhere? And there’s one more detail that adds to my guilt: My husband and I are not currently living up to our theoretical maximum earning potential. In effect, we are asking other people, specifically families where both parents work at jobs they may or may not love (I know a lot of very miserable investment bankers and lawyers) and thus don’t qualify for Financial Aid, to subsidize our chosen lifestyle of pursuing our professional passions while one parent remains at home with the kids. (It wasn’t always me, by the way. One year, when I was actually the one making more, he stayed home and worked part-time, while I worked full-time, so the sole thing I don’t feel bad about in all of this is exposing my children to rigid gender roles). My gratitude is limitless. And so is my guilt. I know I’m doing what’s best for my kids. But… is it good for the Jews (overall)? Like this post? Get the best of Kveller delivered straight to your inbox.